Microsoft has recently introduced web applications (apps) for Microsoft Dynamics SL that enable users to access the solution from any devices that support HTML5, including desktops, laptops, tablets, and smartphones. 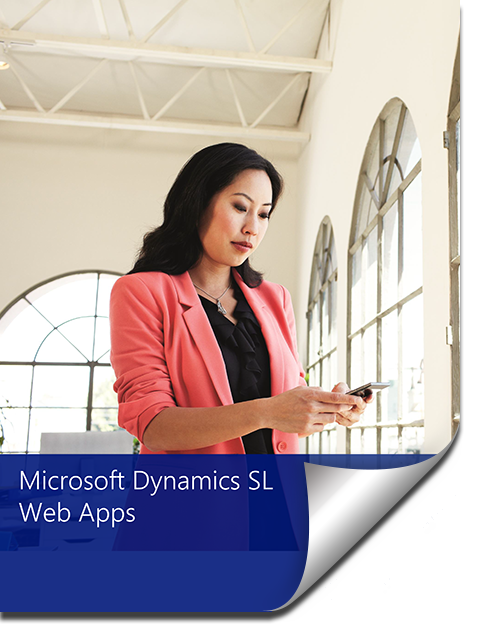 These new web apps give you Microsoft Dynamics SL on the go, making it easier than ever before for you to do business when, where, and how you need to do business. Learn more about what Dynamics SL Web Apps has to offer and how it can increase employee productivity.